Extremely variable geographically, with at least 4 subspecies. 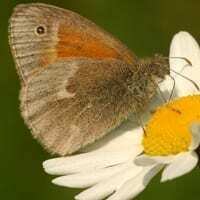 Wings range from dark orange-brown to pale cream. Underside of forewing usually has a small eyespot near its tip. Underside of hindwing is gray-green with a wavy white median line.